Despite her disability, a young girl worked hard and walked four kilometers everyday to get to her school. She does this for six years, regardless the heat of the sun and the difficulty in walking. She only have one foot. Many of our teens today don't appreciate the importance of education. Cutting classes here and there, and they love to complain in every little problem in school. But for this student Jean Arija Daipal, education is the most important thing before anything else. 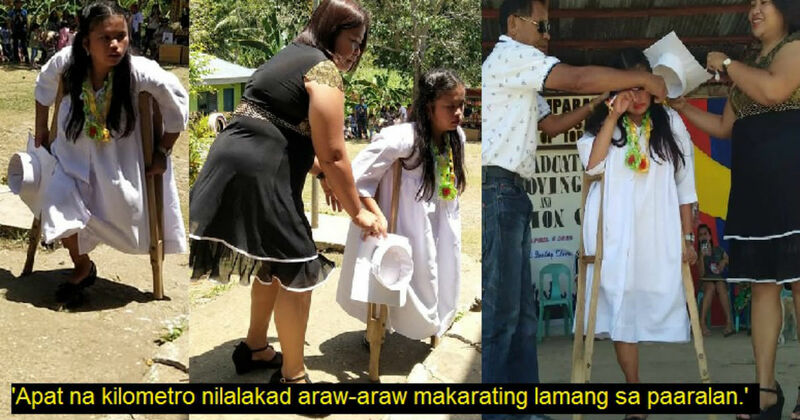 For six years in elementary, she walked about 4 km daily just to reach her school despite her situation. 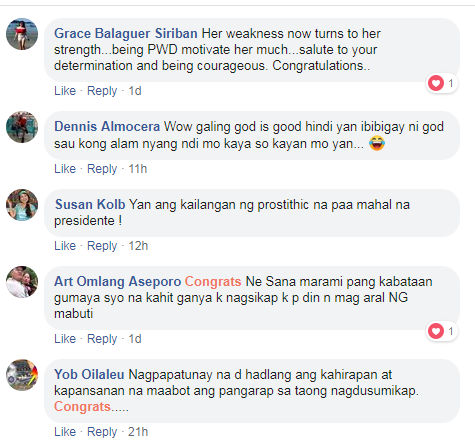 The netizen Junar Mahilum posted in social media the picture of Jean on her graduation. She was wearing her graduation toga. Because of her hardwork and diligence to finish elementary school despite her disability, the teachers in school gave her a medal. 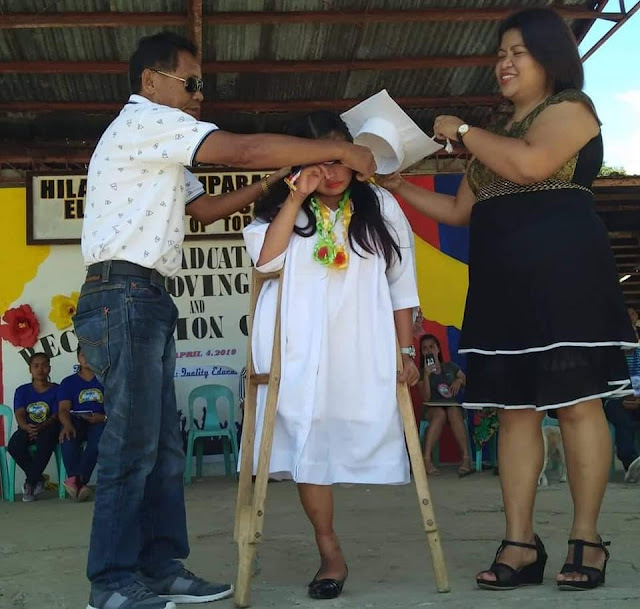 She was crying in the picture because she didn't expect that the teachers will notice her efforts in going to school as well as her sufferings because of her situation. Jean's only wish is to have a prosthetic leg or artificial foot because this will be a big help for her. 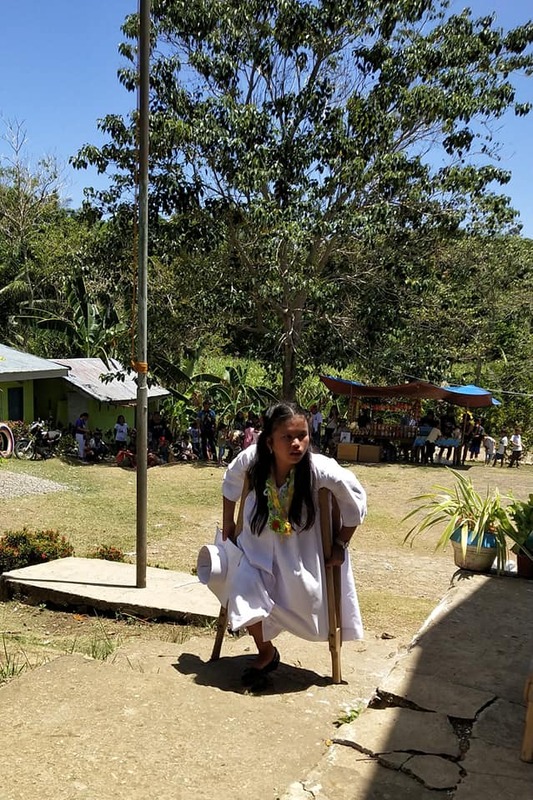 It's not easy to walk 4km everyday just to reach school using her old crutches. 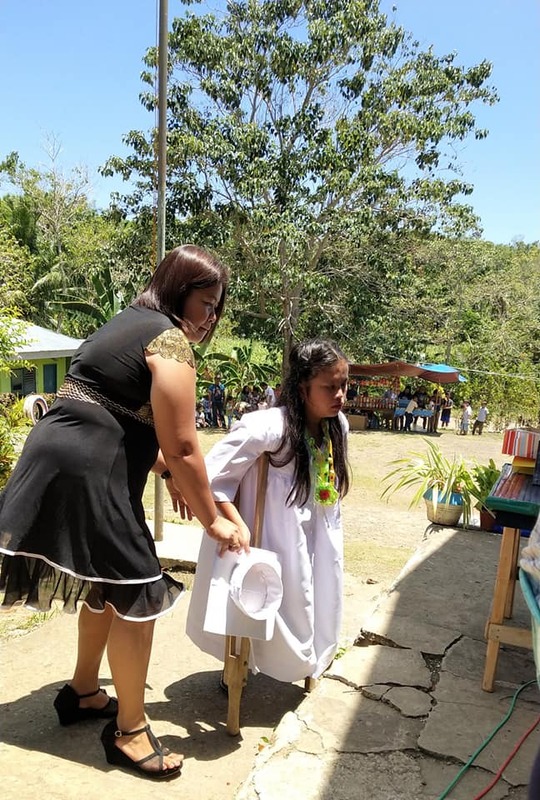 The girl wants to continue her studies, and it will be easier for her to have an artificial leg. 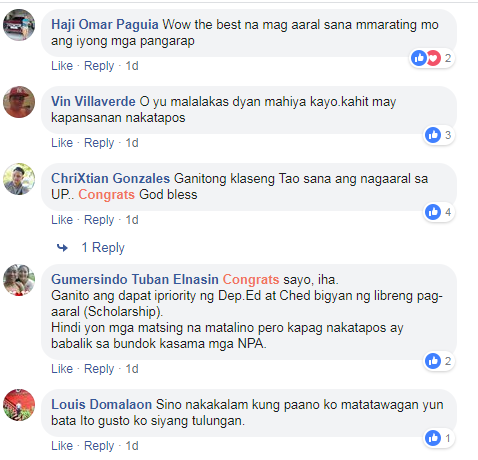 Meanwhile, many netizens have been touched by her story and many helpful souls are ready to help the hard-working student.